Many of them took part in the First World War, ready to give everything for the country that had finally recognised them as full citizens. Twenty years later, the Racial laws sealed the betrayal. Many of the Jewish decorated war heroes were marginalised first, and then deported to death camps, from which they never returned. 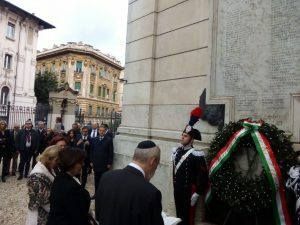 The visit of the minister of Defence Elisabetta Trenta at the Great Synagogue of Rome, on the occasion of the hundredth anniversary of the end of the Great War, reaffirmed the major contribution of the Italian Jews in this war, that has been at the centre of various initiatives in the last few weeks. The memory of the war has been recalled together with the chief rabbi rav Riccardo Di Segni, the president of the Jewish Community Ruth Dureghello and the president of the Union of Italian Jewish Communities Noemi Di Segni. 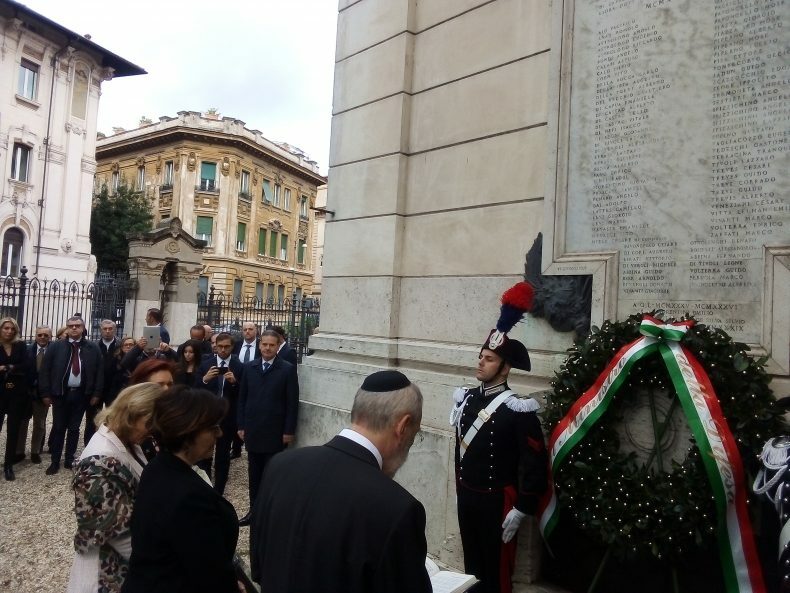 After a solemn moment before the memorial stone in remembrance of the fallen Roman Jewish soldiers, President Dureghello said: “5,000 Jews from all over Italy fought in the war, and half of them were officers. Most of the survivors had to endure the Racial laws. I said this to explain the extent of the betrayal”. President Di Segni asserted: “It is very important to pass on to our youth the memory of what happened, the utter horror of the war. Only this way they won’t see it again”. Meanwhile the chief rabbi pointed out that, in the many accurate biographies that exist today and talk about the Jewish participation in the Great War, the last line concerning the life of many decorated heroes “contains date and place of deportation”. This is a disturbing fact upon which we are all invited to reflect. Minister Trenta stated, in reference to the Pittsburgh synagogue shooting: “Today we stand with all of you, and we strongly assert the respect for life and for human and civil values, which are essential for our society”. She also expressed solidarity for the recent passing of Lello Di Segni, the last survivor of the Nazi raid of 16 October 1943. Minister Trenta also said: “The Shoah is still an open and painful wound for humanity, but if we learn about it and we try to understand its causes, we can produce antibodies to fight intolerance, racial prejudice and dictatorial regimes”. Therefore, our task is “to educate the younger generation on that terrible chapter in history, so that through dialogue there is a growing awareness of the common good, in order to contribute to a future of peace, against all forms of anti-Semitism, racism and discrimination”. 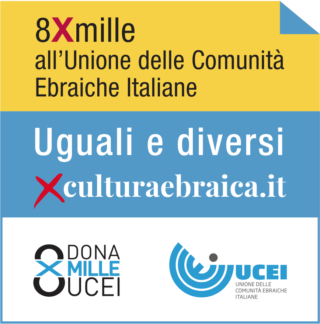 Translated by Sara Volpe, student at the Advanced School for Interpreters and Translators of Trieste University, intern at the newspaper office of the Union of the Italian Jewish Communities.